There’s a page on this website website about belief. Read it and you’ll understand how important TOTAL UNWAVERING BELIEF is in achieving anything. Including manifestation. You need positive, empowering belief in yourself to manifest what you want with the Law Of Attraction. But we all have LIMITING BELIEFS. They are the ones which stop you succeeding, achieving, and manifesting. You know the sort of thing: “I’m not good enough.” “No one will love me.” “I can’t do it.” “I’m not strong/wise/rich/educated/clever enough.” “I can’t earn enough….” “I can’t…” “I won’t….” “I don’t….” “I’m not….” “The world is against me.” “People are untrustworthy.” “I’m too fat/thin/ugly/unattractive.” And so on, and on, and on. How do you think the universe responds when you put out thoughts like these? Obvious, isn’t it? It responds in kind. It finds ways of proving your limiting beliefs are true. Good luck trying to succeed at anything. Fact is, when you’re trying to manifest things, or even simply to succeed in life, you have to eliminate and destroy limiting beliefs. And there’s a problem, of course! – which is, how do you identify your limiting beliefs? Before I set out on my own path of personal development, I wasn’t very successful. I had lots of ambition, I had lots of motivation, and I set my sights pretty high…. But somehow I always dragged my feet, I didn’t do things, I put things off, I got distracted. I guess you know the kind of behaviors I’m talking about. And of course when you get distracted, you tend not to achieve much. Opportunities pass you by. Maybe you don’t even notice them. So you don’t succeed. At least, I didn’t. Fundamentally, I had a belief that I couldn’t be successful, and I behaved accordingly. In other words, one of my limiting beliefs was: “I am unsuccessful.” Another was: “And I never will be.” Ouch. That’s a classic example of a limiting belief. Limiting beliefs are the stories we tell ourselves about our personalities, our lives, our capacity and ability. True or not, they shape and determine how we see our identity and how we live our lives. And more important, they stop us changing things. 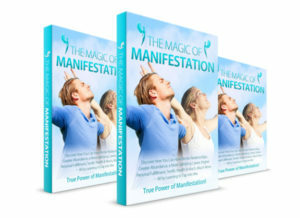 They stop us manifesting. They prevent us from using the Law Of Attraction to get what we want. Limiting beliefs come true because we live them out. We do this so that we match up to the identity we have (“I am unsuccessful / unlucky / destined to be poor / not clever enough / not attractive enough… ” Yeah, yeah. Marriage turns you into a boring old person. Time is money; the rich get richer and the poor get poorer. Once you’re an adult, life is about responsibilities, not fun. Dreams are not practical; the only way to succeed in life is to work hard. You have to give up your dreams, they aren’t achievable. Young people don’t know anything; old people are silly old fools. But the ones that hold you back appear to be variations on a few main themes. I have no right to…. But whatever way these limiting beliefs express themselves, you can guarantee they’re gonna stop you manifesting anything you want. For example, if you believe “money is the root of all evil”, you’ll never get rich in a million years, or if you do, you’ll quickly lose it. If you believe you’re not attractive, you’re never going to manifest a loving relationship. You might manifest a relationship with somebody who doesn’t love themselves either, which isn’t likely to be a joyous union, but you certainly aren’t going to manifest a loving relationship of the kind that you presumably want. And to take one last example, if you think jobs are thin on the ground, then you aren’t going to manifest the exciting, interesting, well-paid job you deserve. 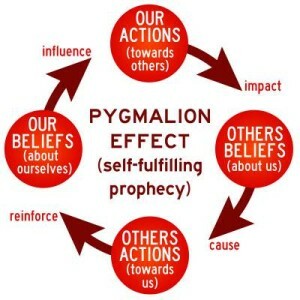 I think the main reason why people don’t get what they want when they try to use the god-given Law Of Attraction to create their reality is because they have some kind of limiting belief. And they probably don’t even know it. Limiting beliefs are rooted in the subconscious, and they affect your behavior without you necessarily even realizing what’s going on. And if you don’t know a liming belief is there, you won’t be able to change it. Yet some empowering belief needs to take the place of a limiting belief. For example, how could you change “I will never be rich” into “I am able to earn money easily, it flows to me all the time, I love being wealthy, and I use money wisely and well for the benefit of all” ? First of all: affirmations do help, there’s no doubt about that. You can find a page about affirmations on this website, and there are some great suggestions there. You really have to repeat an affirmation over and over, day in day out, to keep it in your consciousness. And you have to really live it. But these days we are all very busy: we get distracted. Our attention is splintered by a thousand different demands on us. If you had enough time and enough focus, then affirming a new reality to yourself many times a day would have an effect on your world, I’ve no doubt. I prefer a more active approach to changing limiting beliefs. By an active approach, I mean a technique which impacts the subconscious directly. And there are plenty of ways of doing that. First of all there is self hypnosis. I’ve had some fantastic results over the years with self hypnosis, although I believe you have to repeat the suggestions every day. It’s certainly easy to do this when you have a recording you can listen to while relaxing – you just let your mind drift off wherever it wants to go. That way, your conscious mind isn’t filtering the suggestions being implanted into your subconscious and new, more empowering beliefs can take root rapidly. I’d say three weeks of daily repetition of a self hypnosis suggestion is enough to lay the foundations of a strong alternative, new, belief system. If you want to explore the possibility of self hypnosis, Victoria Gallagher (click here) has a lot of recordings which I can recommend. And there are plenty of other people on the Internet offering this kind of service, so you might want to do a little bit of browsing around to find something that you personally feel comfortable with. Great thought that is, these days I’d go for something a bit more active. One of the pioneers of self-development work, Tony Robbins, holds massive seminars in which he changes the energetic state of the audience by a series of powerful techniques. Then, when the audience is in an altered state – which means open and receptive to new suggestions – he disrupts people’s old thinking patterns and outdated belief systems, so that they can be replaced by new ones. Let’s take an example: Suppose you find you never have enough time to get everything done that you need to do. If you think about it, you probably have several patterns of behavior which prove there’s never enough time. Maybe you take on more and more commitments, maybe you work inefficiently, maybe you work long hours, maybe you feel that you simply have to do things for other people rather than for yourself…. well, all this and more can reinforce your sense that there’s never enough time to do everything. So what is the limiting belief at work here? What’s the belief you hold about yourself which makes you act like there’s never enough time? Because “not having enough time” is going to be very disruptive to achieving success. In fact, it’s a way of not achieving success…. Let’s assume you’re creating a world in which there isn’t enough time to do everything, OK? Is that some kind of defense against a fear of being unsuccessful if you try something new? What price manifesting something new? After all, if you fail, you can always say “I just don’t have time”. Or maybe you don’t even have enough time to get started…. or perhaps the way a lack of time manifests in your life has more to do with a deep belief about yourself: that if you’re not busy, you’re not worth very much? Is your self-esteem is supported by the fact that you’re always busy? Or do you like to be needed by people because it generates a sense of self-worth? Could it be, perhaps, that the belief underlying all of this is that you’re not good enough, and your constant activity and “busyness” is an attempt to prove how good you are? So. How are you going to find out if it is and then deal with such limiting beliefs? Click here to read part 2 of this post – it has all the answers!